If the secure sigital (SD) card socket on your 5000 series iPAQ has stopped working correctly this is the repair your unit needs, the replacement involves de-soldering the complete faulty SD socket module from the iPAQ main board and a new SD card socket being re-soldered onto the iPAQ main board. 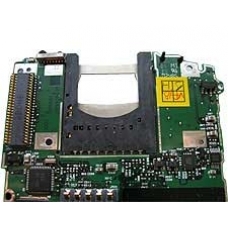 This repair is suitable for the majority of SD card socket related problems. Correcting faults including broken SD card locking mechanisms and damaged read / write pins inside the socket. A common error message displayed on the iPAQ when the socket is damaged or faulty is : SD detect error on 4 bit.